Does your room just never feel right? There are a few simple things to consider that could make all the difference in your space! 1. If your living room is small buy furniture with exposed legs, the more floor space you can see, the more spacious your room will feel. Additionally, having a coffee table with a glass insert in the top minimizes the table’s appearance. 2. When using an area rug, the front legs of the sofa should be placed on the front edge of the rug. This connects the furniture pieces and brings everything together. It’s also perfectly acceptable to put an area rug on top of wall to wall carpet, it’s a great way to add color and texture! 3. Hang artwork between 60″ – 66″ from the floor to the center of the piece of art. This will put the center of the piece at an average eye height making it appealing for all who view it. 4. Don’t over crowd the space. Not just in quantity of furniture but also with size. Be mindful of the scale of the furniture versus the size of the room. 5. Bookcases are another area that have a tendency to get crowded. Just because they have space, doesn’t mean it needs to be filled! Combining items of different colors and textures creates visual interest while leaving space around items will give you a cleaner look. It may look like a tricky color to incorporate but it can actually be pretty diverse. On the surface it seems like a very feminine, flowery color but depending on how it’s used it can be trendy, sophisticated, subtle, bold, and even masculine! Let’s start with extreme! For a super bold room that’s trendy and fun, use Radiant Orchid monochromatically (various shades of the same color). Sure it’s a commitment, but whoa, what a way to go! Adding straight lines as in this couch and chair, and a geometric rug gives you a bold, modern look that is both masculine and feminine. If you’re looking for less commitment, use Radiant Orchid and similar shades more sparingly with grays, beiges, whites, and metallic tones. These pairings give Radiant Orchid a sophisticated look and tone down it’s feminine qualities. Still not sure about this color? Start small. The nice thing about any ‘color of the year’ is that you’ll be able to find it everywhere! Start with hand towels, accessories, or throw pillows – things that require less commitment! You’ve heard the old adage, rules are made to be broken? Well this most definitely applies to the design world too! Don’t limit your space by complying with so-called design rules. Every space is unique and different and shouldn’t be held back because of silly antiquated rules. However, it is important to know some of these rules, but only so you know how to break them! Rule 1: Paint small rooms a light shade. Break it! – Never let a room size dictate or limit the color palette. While painting a small room a light shade may give the appearance the room is bigger, you’re not really fooling anyone! Your brain already knows the size of a room when you enter it, don’t try to trick it, it’s smarter than you give it credit for! Work with what you have, not what you wish you had. Painting a small room a darker shade will create a dramatic, visually interesting space. What makes a small room feel small is not the wall color, but the size of furniture, how many chachkies you have around, and how filled the space is. Break it! – What used to be considered a design faux pas is now looked at as chic and classy! Mixing metals in a room helps to make the items stand out and also look like they were collected over time and have meaning, not newly purchased. Combining cool silvers with warm brass, gold, copper, or bronze tones adds visual interest by creating “layers”. By sticking to just one metal in a room your treasured pieces will go unnoticed. Let them shine! Break it! – Wallpaper is coming back in a big way, especially in powder rooms, as an accent wall, or other small space. Wallpaper of today is not what it once was. It’s very artistic and tactile. I’m frequently asked, “since this room is so small, shouldn’t the wallpaper also have a small print?” You want the wallpaper in these small spaces to be the room! A small print will get lost and look blah, where a big print shows intention and makes a statement. When executed properly, you’ll create a dramatic effect. This not only applies to wallpaper, but fabric as well. Break it! – Mixing antiques with contemporary pieces creates great juxtaposition in a room. The proper mix of old and new styles will give your room personality while being personal, as well as give your antiques new life! Break it! – Mixing patterns is a little trickier to execute than some of the other ideas above, but with thought and a plan, mixing patterns can give a room a lot of character. A few things to keep in mind for combining patterns is to change the scale of the pattern between pieces. If all of the patterns are small for example, this will create a busy look. Also, to avoid being too distracting, the patterns should have a white/negative space background so your eyes have a resting place. You’ve heard the phrase “just wait 20 years, that trend will come back!” And they do, but it’s important to keep in mind, not without some modification and updating! Here are 4 classic trends making a comeback! 1. Antique gold and brass. This is a timeless classic metallic coming back in a more muted tone. Not the same brass of the 80s and early 90s, but a duller less harsh version. You may have some old frames that you took down at the turn of the century because they were looking rather dated. Well, now’s the time to dig them out. Too shiny? Just Google “Brass too shiny” and see great methods for taking down the shine and giving an aged look. Arranging frames in groupings rather than one here, and one there, will help create a visually interesting theme! 2. Lace. Slowly but surely lace is creeping back in. Now wait! Don’t run and grab the old lace table cloth and throw it on the dining room table. It’s important to give lace an updated look so as not to look like your grandmother’s attic. Pair lace with things that are modern like bold colors and and other patterns. Use it on a wall or as a motif on a piece of furniture. 3. Sunburst Mirrors. These are really unique and are a nice addition to your decor. If you have one flaunt it, if you want one, a simple Google search will turn you on to hundreds! I haven’t found 2 alike styles yet. These are also really hot in the antique gold finish too! 4. Peacock. This motif has been gaining popularity for a little while now. The peacock can thank the coordinating jewel tone colors emerald, teal, and “peacock” blue for becoming such a huge hit over the last few years. Consider it a sassy animal print! Make it fresh by pairing it with yellow or lime green. 10 Ideas for Easy Bathroom Living! If you’re remodeling, updating, or just wanting a little change in your bathroom, here are some things to consider that can make your life a little easier! 1. Need a new faucet? Look for a single handle goose neck. 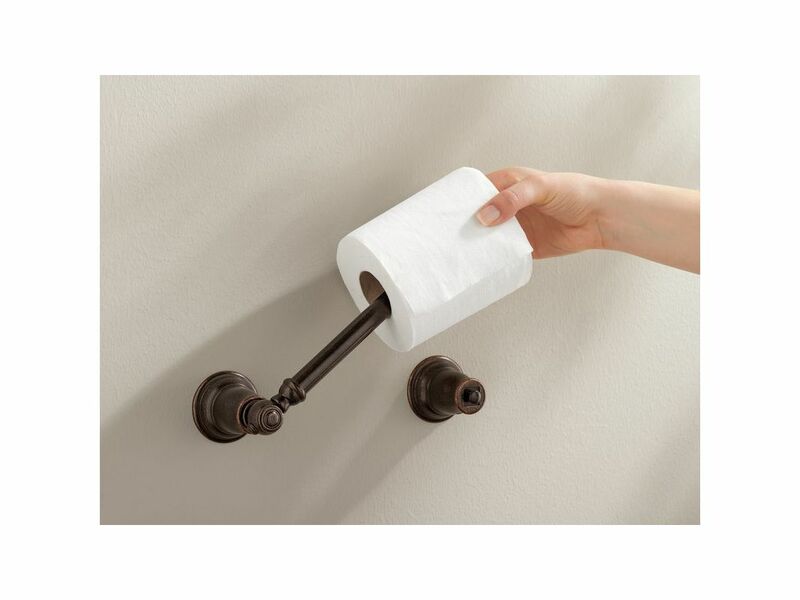 The single handle allows you to easily keep the hot and cold setting to where you find it comfortable without fooling around with separate hot and cold knobs. Also, it’s one item to clean instead of three and it’s easy to clean all the way around! 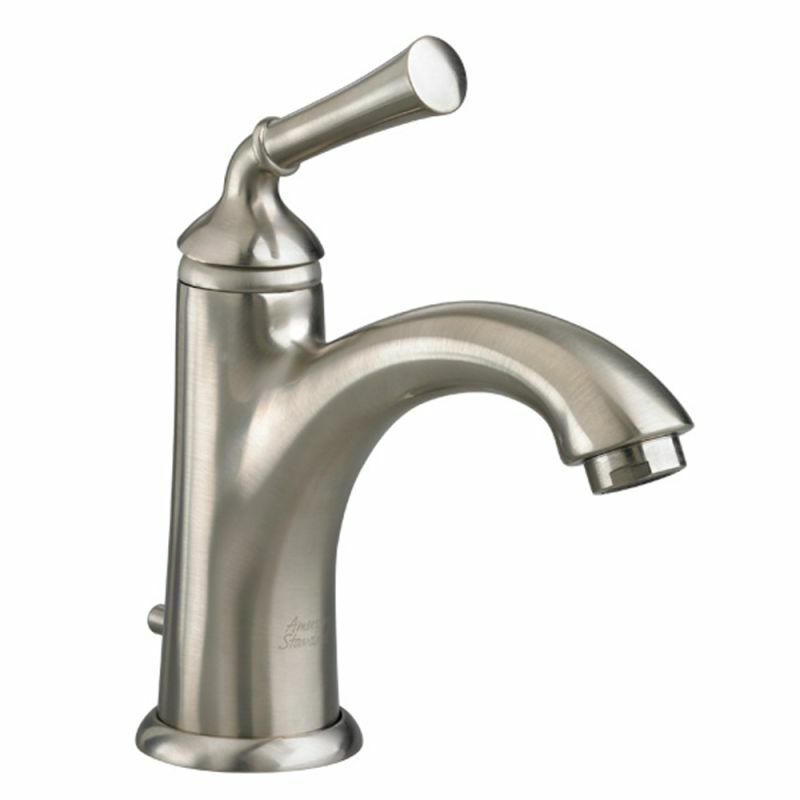 The goose neck also allows more room for washing your hands without the faucet interfering. 3. These Moen shower curtain rings glide easily along the bar and the double sided hooks make it easy to have a curtain plus a liner without having to take both off to wash just one, and hooks means there’s no clasp to fuss with. What’s more, one hook is lower than the other so that the liner will never show above the outer curtain! 6. Top Down, Bottom Up… shade that is. This is perfect for a bathroom – you can still maintain privacy and allow light in. I’ve ordered from here before with no issues and installed it myself! They also open and close with nothing more than slight finger pressure. 7. Swap out your old wall mount shower head for a handheld. I like this because it also doubles as an easy way to spray down the shower for cleaning and washing the dog too! 8. Soft close toilet seat – ok, you don’t have to have it, but if you’re in the market for a new seat anyway, this one is comparable to a standard seat price, and you’ll never have to hear the seat bang again! Just tap the top forward with a finger, and down she goes, nice and easy like. This Kohler model has an quick release clip so you can remove the whole seat easily to clean in those hard to reach crevices in the back. 9. Bathroom motion lights – sure, why not? I swapped out our standard switch with a motion sensor switch on the main lighting. This has worked out really well for several reasons. At night, there’s no fumbling to find the switch, as soon as you cross the threshold, on comes the light. Hands full or dirty and you try to get the switch with your elbow? No need with the motion sensor. The great thing about it is you can set an internal timer so it’s not just on for long periods of time with no one in there. And, you can adjust the sensitivity so it doesn’t come on when the room is filled with natural light. Most bathrooms have a separate shower light, and for that I’d keep a standard switch for so you don’t get stuck in the dark! On this Leviton model below, (you can get it at The Home Depot) there is also an on/off override as well. 10. 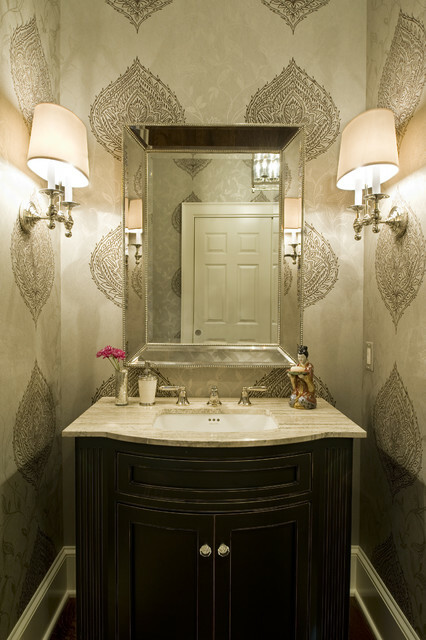 Getting the most out of your vanity – If you are considering a new vanity, look for one with a few added features. This one is 36″ tall (standard height is typically 30″) making it more comfortable to stand and bend over at. It is also deeper than a traditional vanity allowing for more storage space. The best feature; the drawer on the bottom gives you an additional separate storage area for things like hairdriers, curling irons, brushes, lint brushes, even spare rolls of toilet paper.